As I mentioned yesterday, this week is National Eating Disorder Awareness Week, and I focused on the fact that everybody does know somebody who has struggled with an eating disorder at some point in their lives. The number of people in the US who are struggling with an eating disorder is a staggering 30 million! I know that some of this information is what you would call “blah.” Far from Birthday Cake Cocktails and Blueberries & Cream Brownies. But this is a real issue. This is something to slow down about. This is something to get serious about. Being that this week is National Eating Disorder Awareness Week, we are going to focus on the real issues at hand. Those who battle an eating disorder aren’t usually all that open and communicative about their struggles. Unfortunately, no one’s talking about it. Only a small percentage of those suffering are actually coming out and announcing that they have an eating disorder. Because we aren’t used to being around eating disordered people, it’s probably difficult for us to know exactly how to recognize an eating disorder. Just looking at someone isn’t going to tell you that they do or don’t have an eating disorder. For example, I had some major anorexic tendencies, but I never looked it. I never really looked sick. You may think that you have to be stick thin to have an eating disorder, and that is far from the truth. Eating disorders come in all shapes and sizes. That is why it’s important to know the signs and symptoms of an eating disorder. As you can tell, some of these symptoms are serious and can be life-threatening. This is not an exhaustive list of signs and symptoms of someone with disordered eating. But if you are concerned about someone or even of yourself, please do not hesitate to take action. Later this week, I will talk about the best ways to confront your loved one. 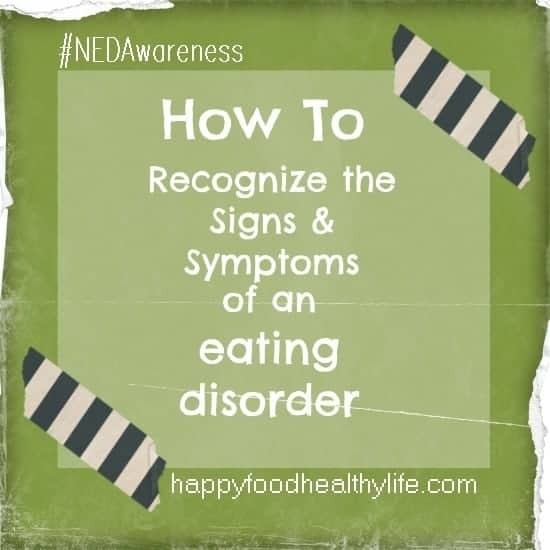 There is also a free and confidential screening on the National Eating Disorder Association (NEDA) website that will help you to determine if you need to speak with a professional and take the necessary steps to get healthy. You are 100% worth an amazing life that is not polluted with such a dangerous disorder. 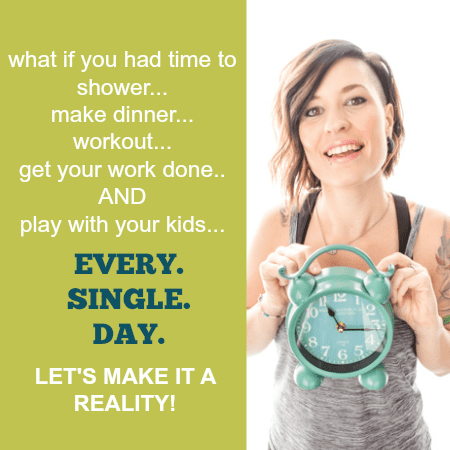 You have the power to make some major changes in your life.